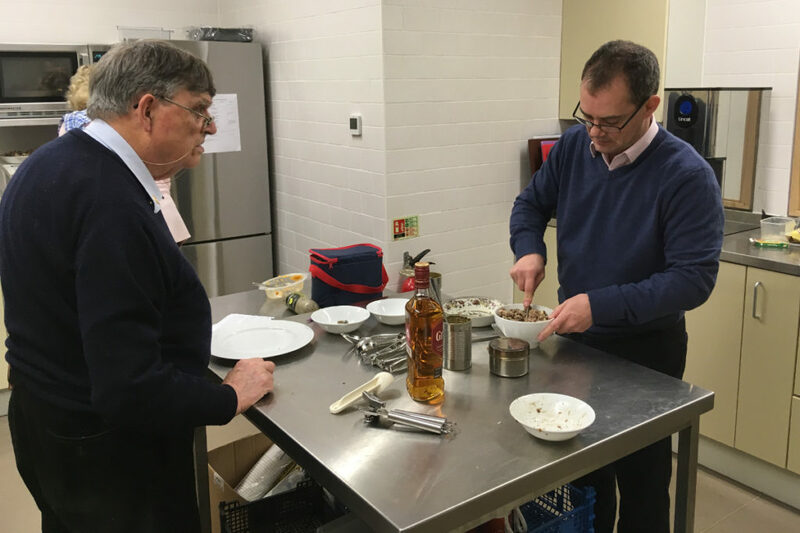 We took advantage of the catering facilities at our new venue and we celebrated Burns Night in style. 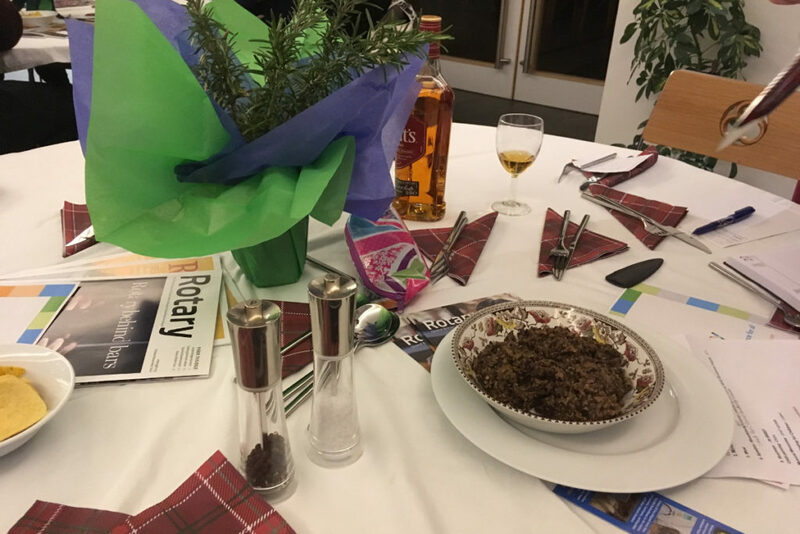 A few days early, but still the real thing – some Scottish music, tartan napkins and decorations, and of course haggis, neeps and tatties. 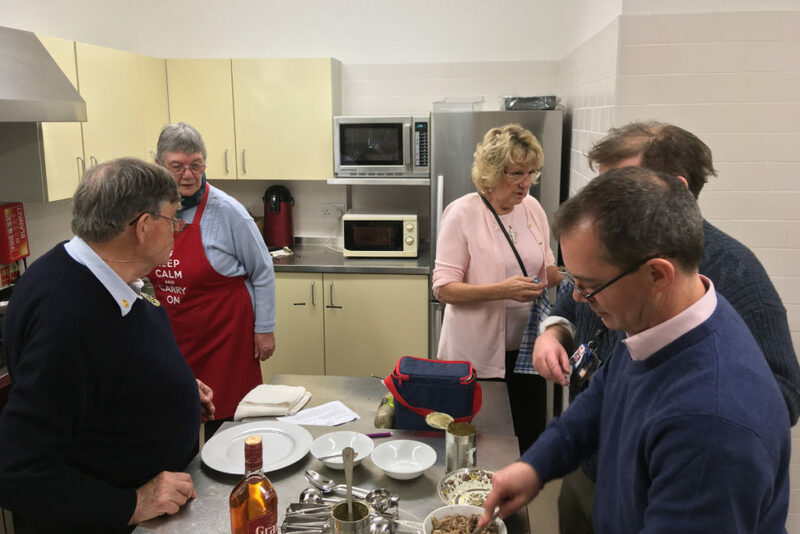 We even had a go at an address to the haggis, under instruction from Kenneth, and taking a verse each. Some pretty appalling accents among a few impressive ones, but just a bit of fun. 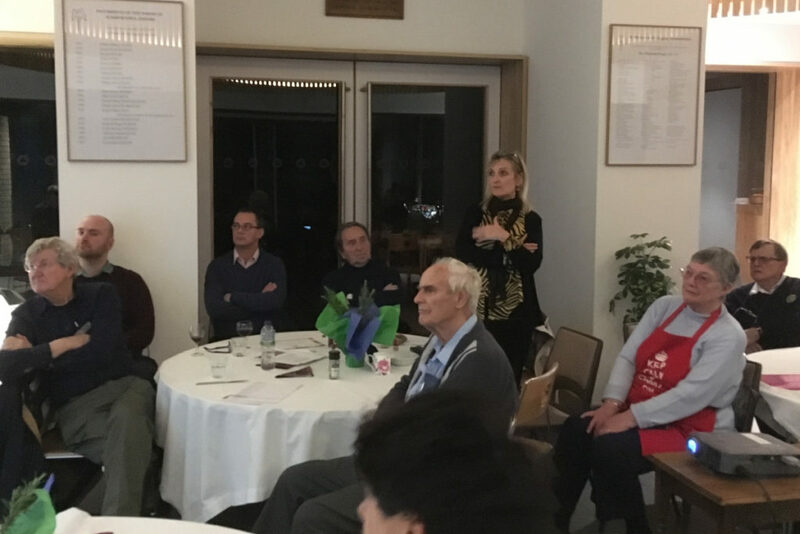 After eating we listened to Rotarian Leanne McGee from Woodstock & Kidlington Rotary speak about the work of Broadmore Hospital where she is Executive Director. She spoke about the history of the site and the changes in secure psychiatric care over the years and the way in which the patients are cared for today. It is one of 4 high security psychiatric hospitals in the England which in total have a capacity of about 900 beds. Broadmoor Hospital is a specialist service that provides assessment, treatment and care in conditions of high security for men from London and the south of England. Since 2012 the patients have been involved at every stage of the design of the new hospital. It is hoped the new hospital site which is beside the old site will be operational by November 2019 with the overall site development completed by 2021. We also heard from Matt Pierri who introduced SociAbility, a new initiative aiming to share information on accessibility to social spaces in and around Oxford. 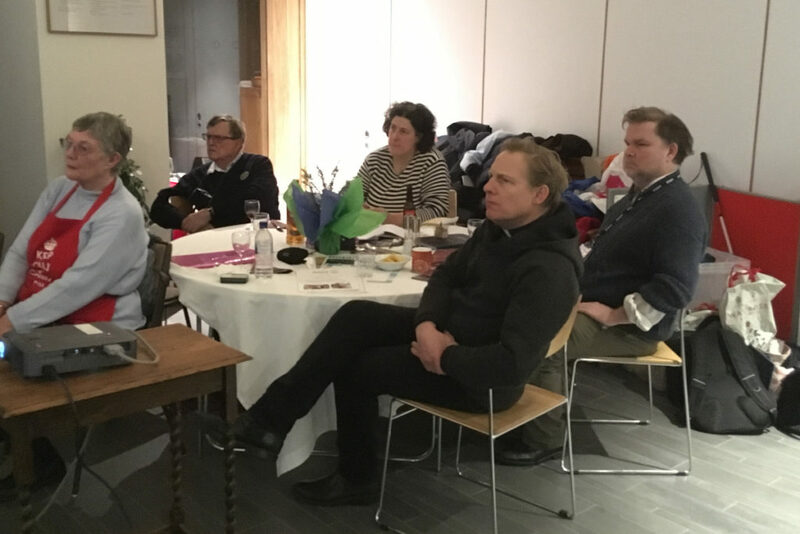 Matt recently studied at the Blavatnik School of Government at Oxford University and knew some of the Rotary Scholars in his class and was introduced to Karen, who in turn is hoping to introduce him and this initiative to Rotary Clubs in the area. 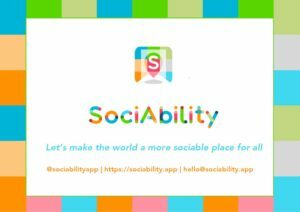 The Sociability team is developing an app for smartphones that allows the user to search for and contribute accessibility information for local venues. 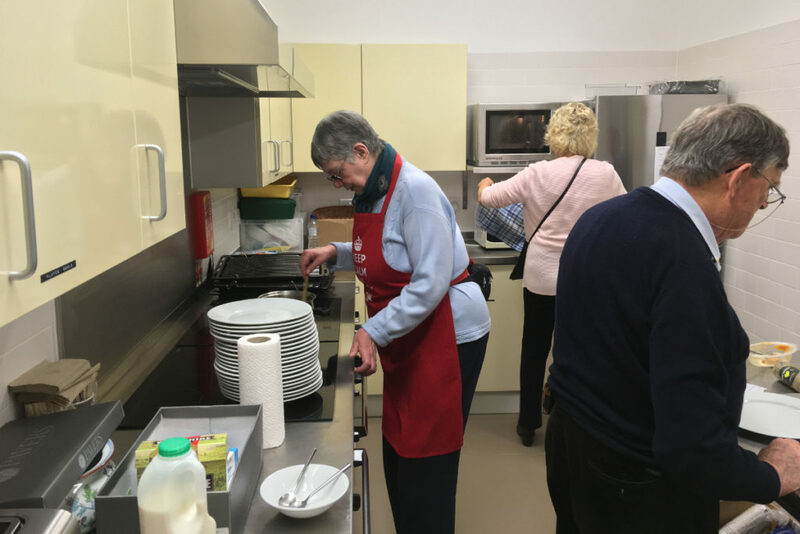 Gavin, the vicar of St Michael and All Angels Church was happy to announce that the church is very accessible: power-assisted doors, accessible toilets and no steps in the Threshold or main area of the church. Michael Snr supervising Michael Jnr?